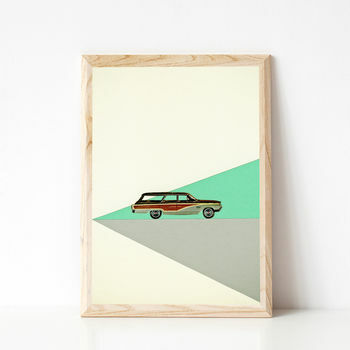 A retro car print mixed with modern shapes. If you know someone who is into cars in a big way, this might be for them. Even if they are not, anyone with an interest in the good old days will appreciate this nod back to the mid century. 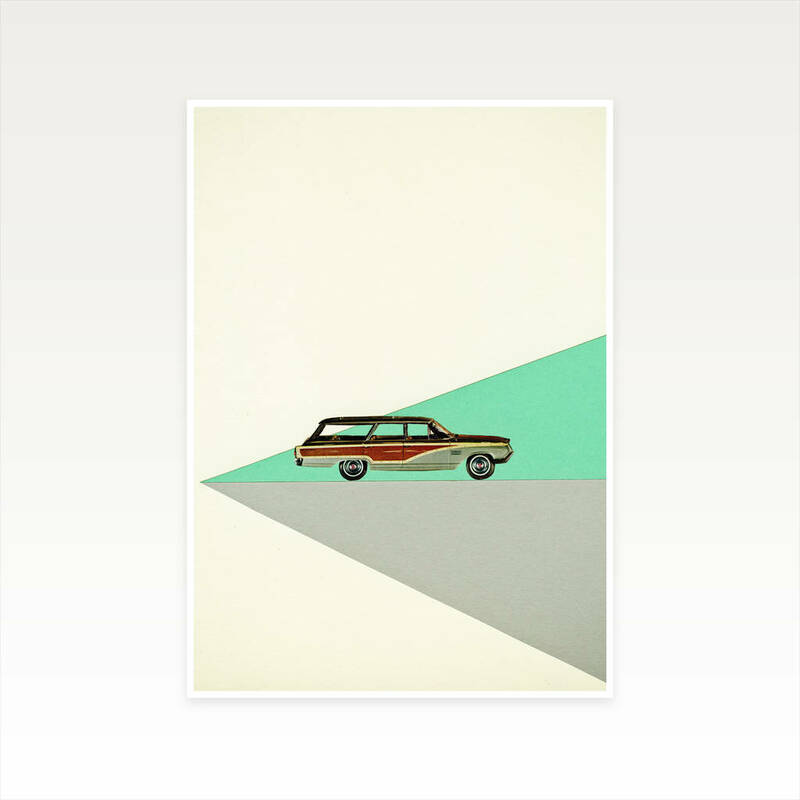 This print would suit both a retro and a modern home. A real statement piece for both men and women.